Once upon a time men of steel flew their loud 3 hole jets fast and proud. We would takeoff pass through 10,000 feet roll the nose over accelerate to the barber pole and stay there the entire flight. Of course in those days fuel was about 50 cents a gallon now that it is costing corporate operators over 6 dollars a gallon, we are taking extreme measures to conserve every drop of the precious liquid we can. Fuel conservation can save money, our jobs and the environment. I’d like to discuss some design, engineering and operational procedures that our company has developed or uses to save our clients fuel. First I’d like to introduce my team and myself. I’m Capt Ivan Klugman; I’ve been involved in aviation as a Flight department manager, chief pilot, Captain at a major airline and consultant. 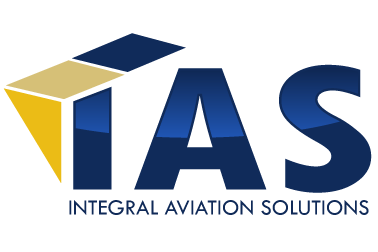 Currently I’m President of Integral Aviation Solutions Inc with offices in Florida, Saudi Arabia and France specializing in aircraft acquisition, completion and operations. 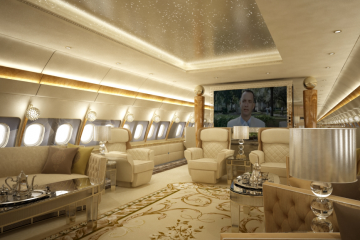 We send a lot of time working on VIP aircraft interiors and airliner conversions. We have worked for airframe manufacturers corporations, Royalty, “Heads of State” and even a celebrity billionaire. I’ll start the discussion in the acquisition an design phases. An important item in fuel savings is weight. We survey possible acquisitions weight and balance data to see if it is in acceptable limits. I have found some have been completed in such a way the useful load is unacceptable. When planning an interior installation Manny always uses the lightest possible materials and considers monument location relative to the weight and balance of the aircraft. Weight reduction and an aft c.g. location within limits save fuel. One of the most dramatic fuel savings you will see on your aircraft comes from the installation of Blended winglets. Aviation Partners sells STC’s and kits for most airliners and corporate aircraft. 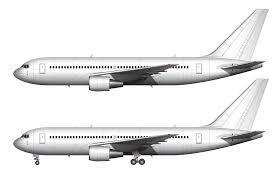 Fuel saving can be between 6-8 percent depend on aircraft type and length of trip. General maintenance items on an aircraft can also save fuel such as assuring there are no small bleed air or pressurization leaks. Control and flap rigging are also important. Watching our team prepare an aircraft is like watching the Ferrari team preparing for a F-1 race. With little extra time and care performing these tasks, many gallons of fuel can be saved. Auto-Throttles should be ordered on all aircraft they are available on. Auto-throttle enhances safety, reduce pilot fatigue and save fuel. We recommend the use of auto-throttle in all modes of flight. Fuel saving can be from 1-2 percent. FMS: proper use of the FMS and cost indexing cruise technique can save fuel. We recommend a few operational procedures in regard to the FMS. First of all we recommend having current wind data in the unit via uplink if available or manually entering current winds. In the past we all flew in a fixed Mach number cruise. Today we are using FMS generated cruise speed “LRC” or “ECON”. We are able to adjust the cost index to maintain Mach number within required tolerances when require in the NATS or other non-radar environment. We also recommend using the FMS for real time optimum cruise altitude selection. A professional well-trained crew using these procedures can save a lot of fuel. As you can see with a small investment in some aircraft modification and crew training an operator can easily save about 10 percent of their annual fuel budget. This saving is not only monetary it will help our planet as well. Those that desire any additional information please don’t hesitate to contact me..